I had a bit of a challenge getting dressed this morning because I had to dress for 2 very different events: something comfortable for a staff meeting which would include active components and then something a bit more formal for an alumni panel I was sitting on at my former university. 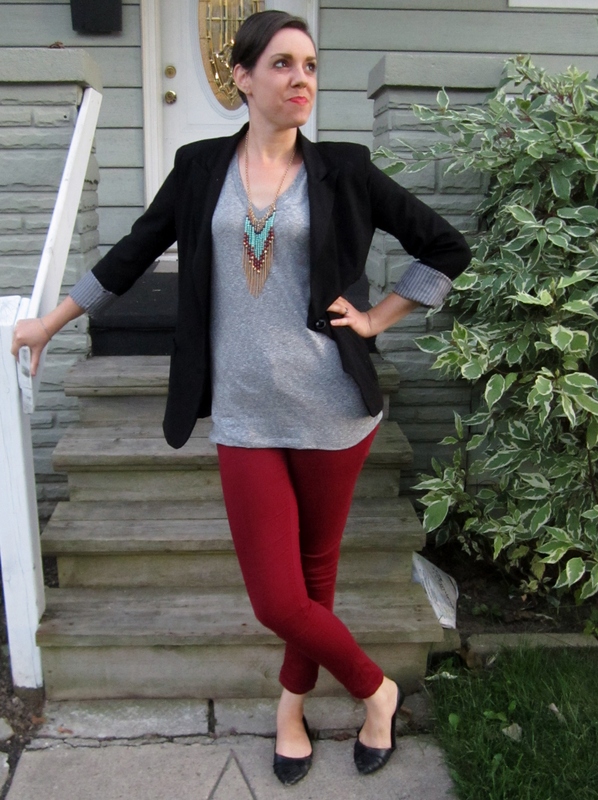 I went with burgundy pants, a grey t-shirt, a black blazer and a jazzy necklace. 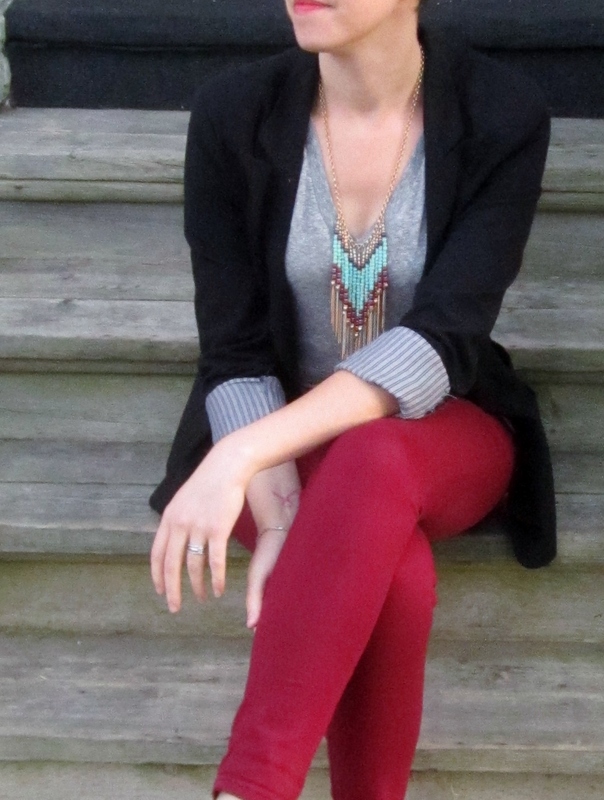 This entire outfit, including the shoes and necklace, was $65. Not bad for some multipurpose items! Like this post? 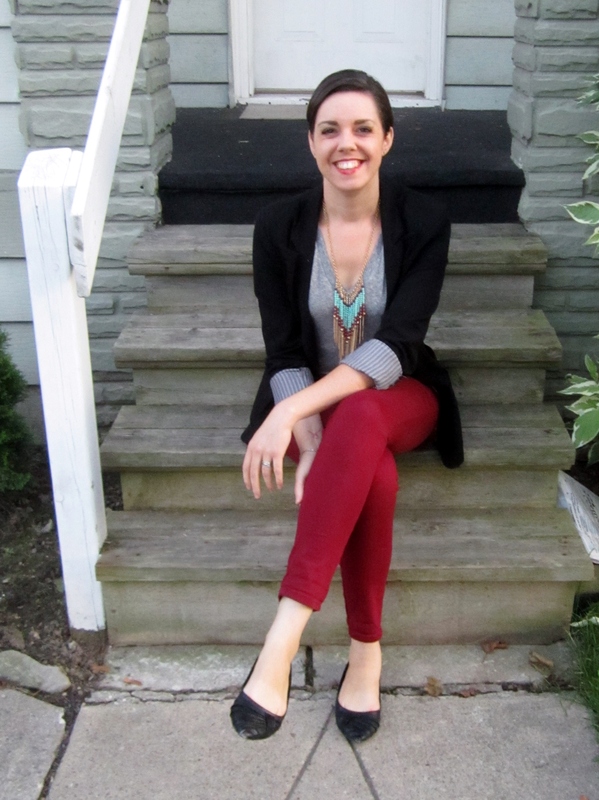 Check out my other OOTD posts here! Women’s sizes never fit me 😦 I buy pants from the teens section at Garage and Target lol. 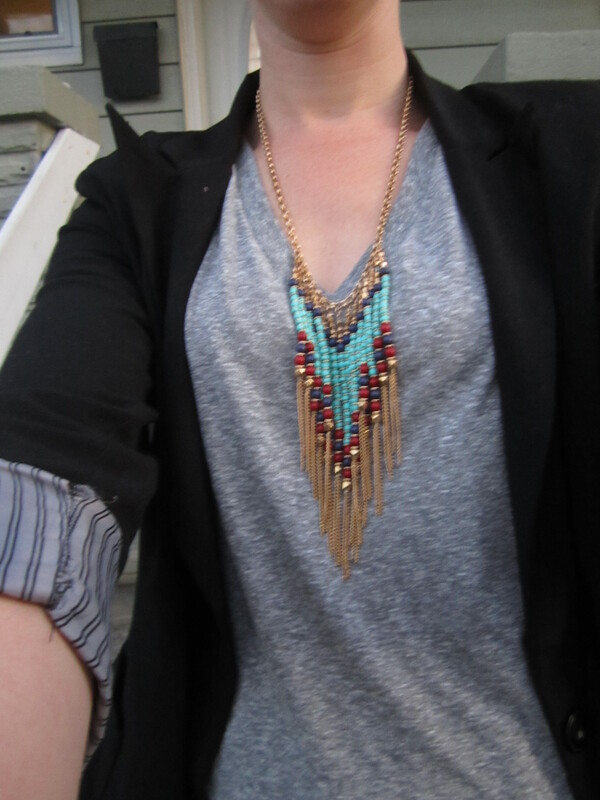 your necklace puts the outfit together! Thanks! It’s such a fun piece and was on the clearance rack for $6!